at Bike 4 Fun 2018! 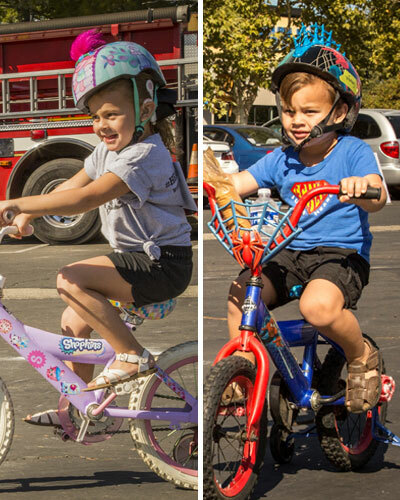 On Tuesday, October 9, 2018, CCHAT students will hit the pavement on bikes, trikes and scooters to raise funds for the program that is teaching them to listen and talk. With your support, children with hearing loss have the opportunity to speak for themselves! Every dollar will go a long way toward building a bright future for CCHAT children and their families. CCHAT is a non-profit 501(c)(3) corporation serving children who are deaf or hard of hearing. Your donation is tax-deductible to the fullest extent of the law. To submit a donation, please use the form below. Does Your Child Have Hearing Loss? Early diagnosis is the key to a happy, normal, and productive life. CCHAT services are provided to children who are deaf or hard of hearing and their families. With your generous support, we can continue supporting them. Do you live far from CCHAT? Please contact us to talk about travel options for your child. Please contact us for travel solutions! © 2018. All rights reserved. Children's Choice for Hearing and Talking Sacramento | Website Design By: Friday Marketing Inc.